Blockchain technology has been actively embraced by an increasing number of countries and regions, and many well-known enterprises have begun to lay out their plans to use blockchain. Compared to traditional software development, there is a higher cost threshold for developers and enterprises who want to work with blockchain technology. Most current blockchains, such as Bitcoin and Ethereum, are isolated islands of data and value because inter-chain communication is not yet available for them. In the long run, this is an issue that has to be solved. So what is the best way to reduce the difficulty in blockchain development and further help facilitate the efficiency needed for enterprises to use blockchain? Cross-chain communications between blockchains is a necessary challenge being tackled by a few projects. Recently, a new M&A crypto fund of 200M USD, established by BlockGroup (BlockVC’s parent company), announced their investment in NULS. Both NULS and Cosmos, which just launched its main network, are prominent representatives in the field of chain building and cross-chain technology. This article will analyze and compare NULS and Cosmos projects from different perspectives to help you understand their technical implementation for chain-building and cross-chain, as well as their value. 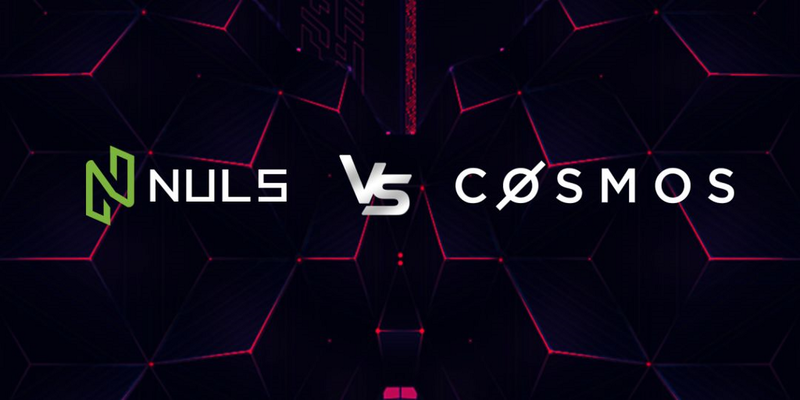 In terms of the overall architecture, both NULS and Cosmos have adopted a layered design to separate the business layer from the underlying layer. Cosmos is divided into two layers as a whole. The underlying layer is called Tendermint Core, which contains the consensus layer and the network layer. The business layer is called Cosmos SDK, which encapsulates the general business functions. 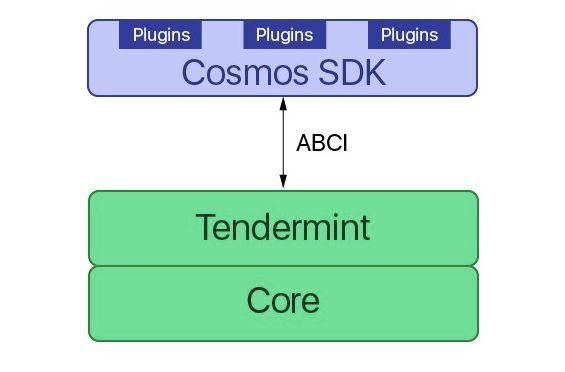 In Cosmos, the business layer interacts with the underlying layer by invoking the ABCI (Application Blockchain Interface) of Tendermint Core. NULS Now Listed on Huobi!